The GoldSeal Technical Support Center provides unlimited 24-hour remote support Monday through Sunday. The GoldSeal Support Center is staffed by experienced and dedicated technical professionals between the hours of 7:00AM to 6:30PM Central. After-hours calls are routed to voicemail and technical support personnel are immediately paged. The GoldSeal Technical Support Center assists with all customer questions, including the use or application of the videoconferencing/audio conferencing system, system connectivity issues, remote diagnostics, and troubleshooting. 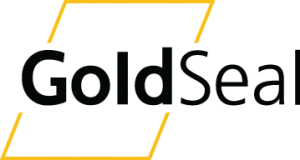 GoldSeal’s certified customer support engineers will provide trouble isolation and resolution through diagnostics and the performance of fault isolation procedures. The GoldSeal Technical Support Center provides Next Business Day Replacement of covered videoconferencing/ audio conferencing equipment on calls prior to 3:00 PM Central. Equipment is shipped next business day at no cost to the customer. A return ground-ship label is included with the replacement equipment at no cost to the customer. International GoldSeal delivery schedules are dependent on the countries delivery infrastructure and availability, with every effort to provide Next Business Day Replacement. The GoldSeal Support Center inventories critical spare components of standard manufacturer’s equipment to support the customer’s videoconferencing/audioconferencing equipment. Critical components are components deemed necessary to ensure minimal down-time and allow the ability to effectively conference. Our experienced training professionals provide extensive customer training throughout the coverage period. The GoldSeal Support Center Test Facility is available to customers 24 hours a day. This facility allows you to test equipment at your convenience.